Does anyone know what's going on with the Radisson? Seems like years since that scaffolding went up! It's a shame really. It's one of the more visually appealing buildings in Cardiff. All has to be taken off and put up on Ty Hafan. While the students are away they are then holding a firework and petrol display in August. Seriously, the cladding does look very "plasticy"
Cen wrote: It's a shame really. It's one of the more visually appealing buildings in Cardiff. Why is it a shame? Surely some new cladding on that building will make it look new again! moyceyyy wrote: Why is it a shame? Surely some new cladding on that building will make it look new again! I'm sure it would, but there's no sign of that happening I meant it's a shame that the scaffolding has been up for so long ruining its appearance. Yikes. Highly combustible cladding that isnt going to be changed? I wont be staying there anytime soon! They seem to have cleared all the old houses at the Trade Street apartments site and are busy piling. Fantastic progress @MorganstoneLtd @CCHACorporate Schooner Way development, Cardiff Bay using the largest self erecting crane in the UK! To me it looks like a very large mobile crane is also being used?? Looks like we could be seeing the redevelopment of Cromwell house into an international brand hotel. 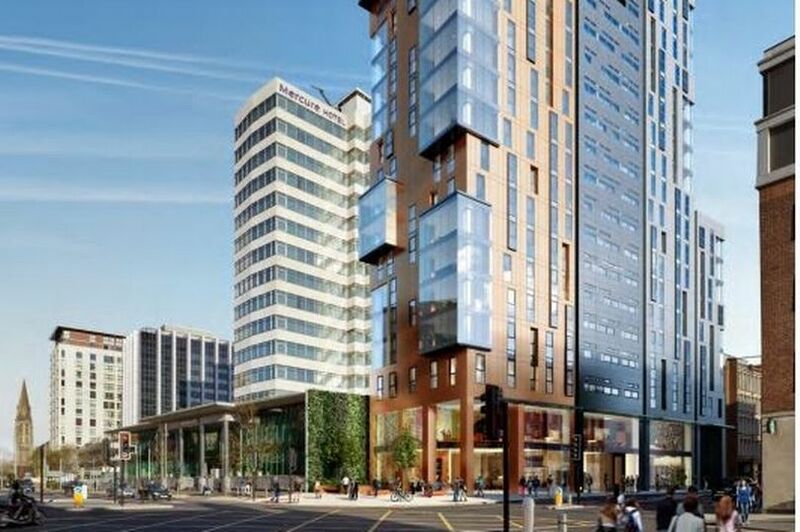 The owner of Cromwell house has put in an objection to the fitzalan place tower stating that it will have a massive impact on his planned redevelopment of Cromwell house into an international brand hotel or more student accommodation, although his preferred option would be a hotel. To Remind me and others which one is fitzalan place tower?